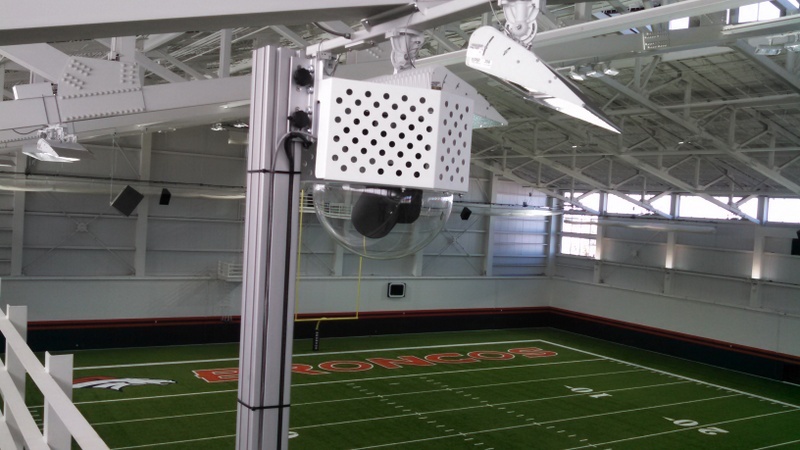 DDI designed and built a custom camera mount for the indoor practice field. 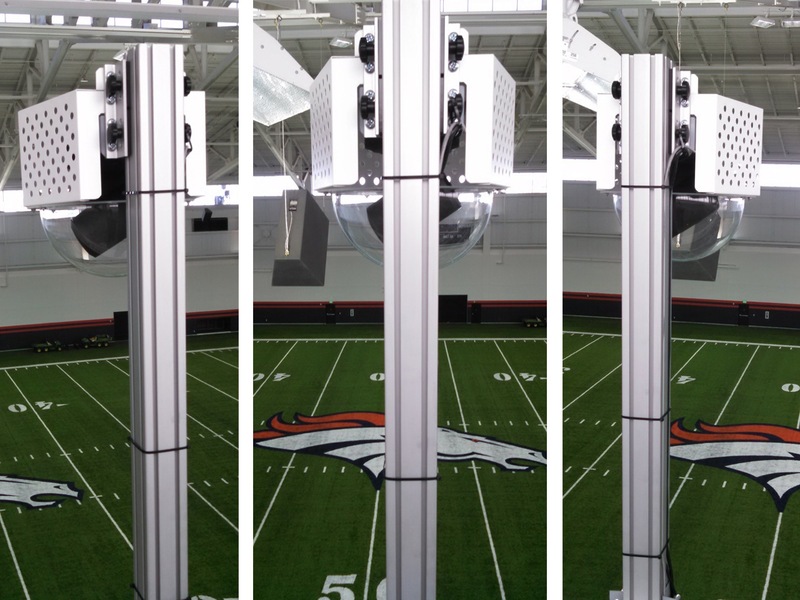 It is height adjustable, and isolates the camera from impact. 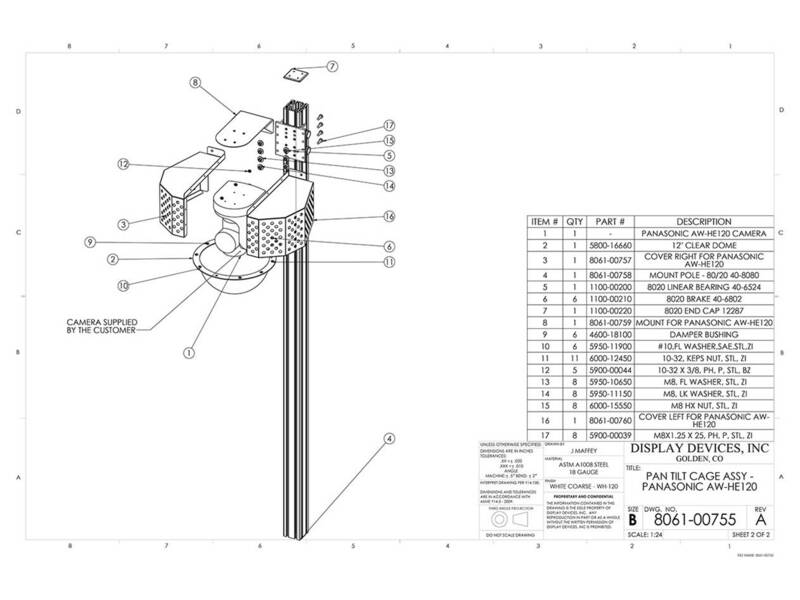 It is for a Panasonic AW-HE120 pan tilt. Click here to visit the facility.